Samuel M. Wilcox (clerk, Pension Office). John C. Hesse (clerk, Adjutant-General’s Office); Samuel M. Wilcox (clerk, Pension Office). Robert A. W. McKeldin (clerk, War Department). Robert A. W. McKeldin (physician). Robert A. W. McKeldin; William R. Rodenberger (clerk, Capitol). Robert A. W. McKeldin (physician); William R. Rodenberger (clerk, Capitol). Caroline A. Mack (widow of Frederick Mack); Nellie M. Mack (teacher). Caroline A. Mack (widow of Frederick Mack); Nellie M. Mack (principal). 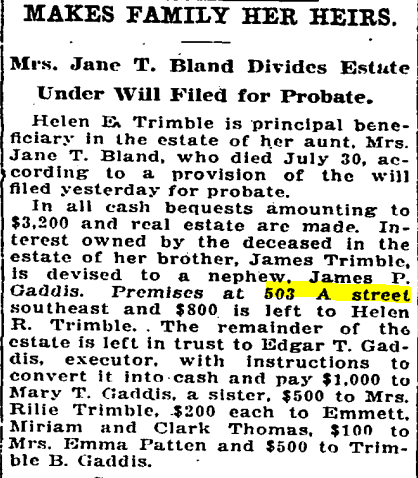 Charles W. Bland (notary); James Trimble (bookkeeper, boards). 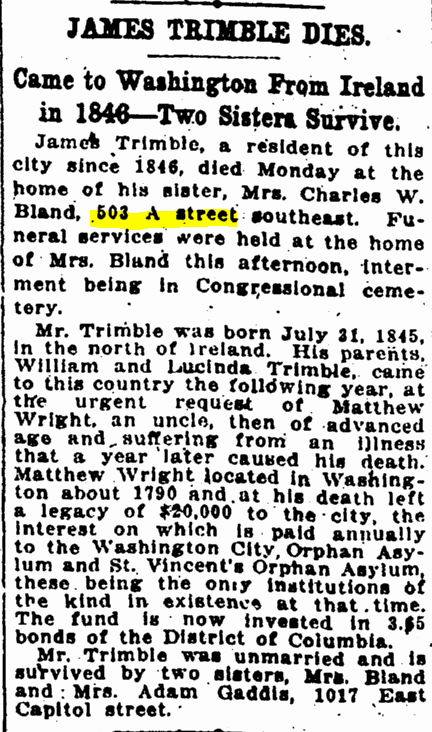 Charles W. Bland (notary); James Trimble (accountant). 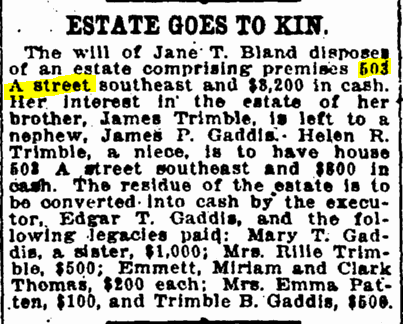 Washington Evening Star, 16 June 1883, p. 8. Covell, Charles. 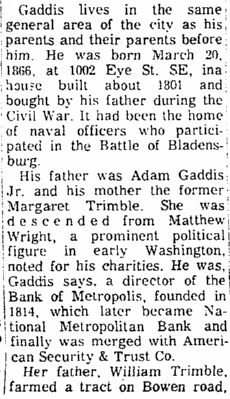 “On Eve of Birthday: Bank Fetes Director, 100.” Washington Evening Star, 17 March 1966, p. B-7. Washington Evening Star, 4 August 1921, p. 10. Washington Evening Star, 30 March 1919, p. 7. 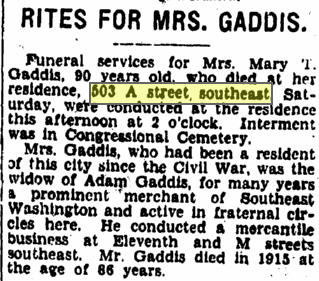 “Deaths.” Washington Evening Star, 9 September 1928, p. 7. Washington Evening Star, 11 September 1928, p. 2. 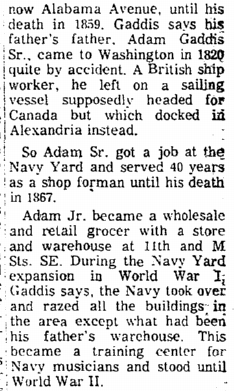 “Died.” Washington Evening Star, 18 March 1919, p. 7. Washington Post, 4 August 1921, p. 7.